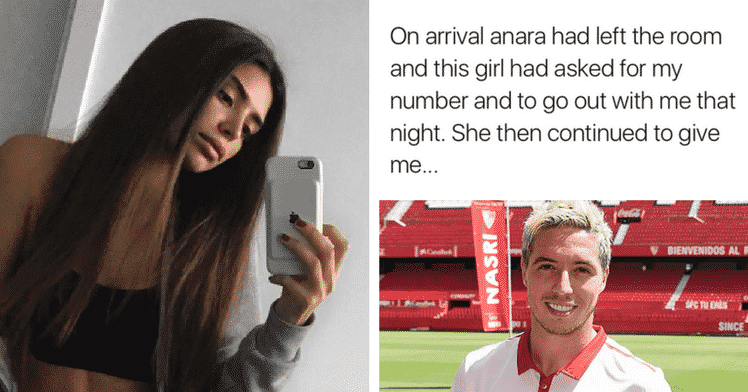 The official Twitter account of France midfielder Samir Nasri posted a series of tweets suggesting he received a "full service" from a woman who visited his hotel room, arranged by ex-girlfriend Anara Atanes. 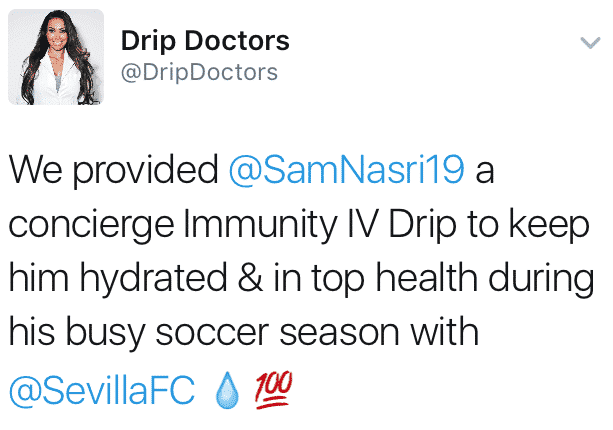 The tweets were published on Tuesday night but quickly deleted, and followed by messages saying the account had been hacked. 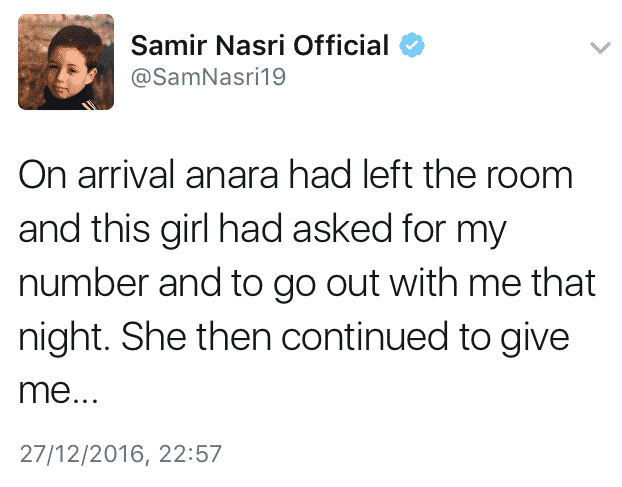 Nasri, who is on loan at Sevilla from Manchester City, is reported to have split with model Atanes earlier this year. 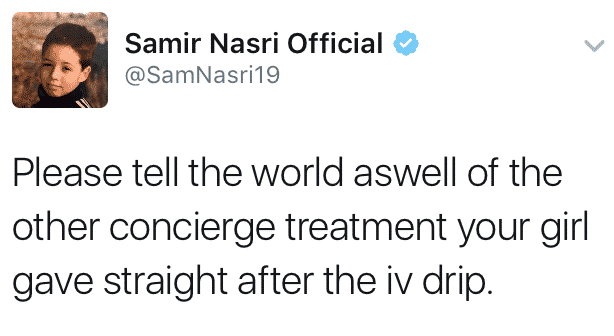 The Victoria's Secret model is mentioned in the tweets posted late on Tuesday. 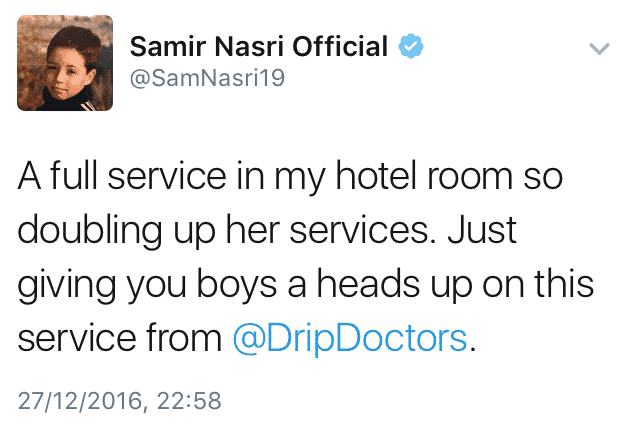 The exchange started when Nasri was mentioned by DripDoctors, who say they provided him with medical treatment in his hotel. 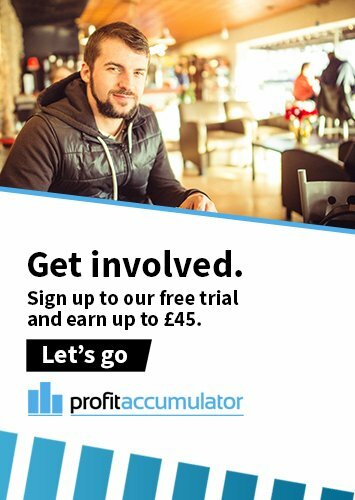 The exchange includes a picture and names another woman, who we have chosen not to include. 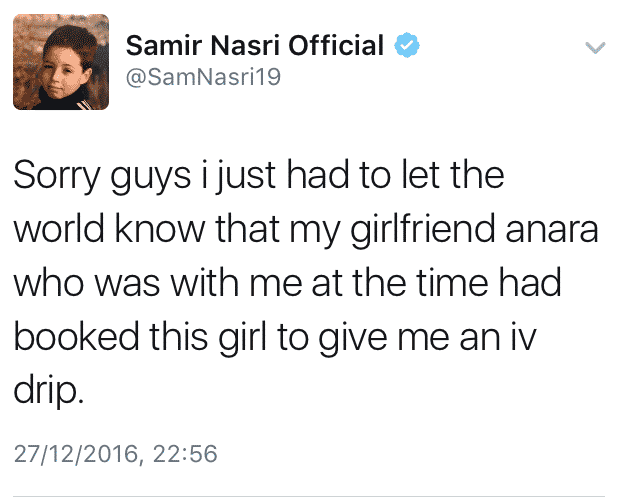 Nasri's official account then responds with a series of allegations about what happened next.